We are not alone. Speaking to Professor Stephen Toope, the new vice-chancellor, I am joined by the University’s director of communications, Paul Mylrea, and the remnants of freshers’ flu. I feel a little outgunned. Why Mylrea is here, I’m not entirely sure. Perhaps it’s because Louise Richardson – Toope’s equivalent at Oxford – had a mixed summer, putting her foot ankle-deep in her own mouth over some poorly-worded remarks about homophobic professors. But Stephen Toope is not Louise Richardson. That’s not to say comparisons can’t be made. In one of her many vacation interventions, Richardson defended her £350,000-a-year salary, in a climate where vice-chancellor pay is under intense scrutiny. Last week, Toope had to mount a similar defence of his own salary: £365,000 excluding pension contributions. The revelation was inevitable and, perhaps, inevitably embarrassing. Toope’s installation and arrival has been a fairly smooth affair, but now the Latin and gowns are finished with, he will have to hit the ground running. After a long period away from Cambridge since his days as a student here, his immediate experience will echo that of many the new freshers: thrust into the middle of debates about access, divestment and welfare. The first is a complex and thorny issue, with the University constantly pulled between the challenge of marrying expanding participation with maintaining standards – usually in the form of demanding top grades from applicants. “I am pleased that over the last number of years Cambridge has worked really hard generally to encourage greater access,” he says. Grade requirements though, he says, are “a challenging one”. “We know Cambridge is a very tough academic environment. One of the things I have always felt very strongly about is that you never want to put people into a situation where they can’t succeed. One of the challenges for students coming from backgrounds where they haven’t had the same kind of education opportunities – and therefore attainment – is if you then throw them in an environment where the expectation is that they will perform.” He stresses the links with government, schools and not-for-profit organisations that Cambridge has to form, saying it has “has to do a lot of things at the same time to try to improve this record”. All very well, I say, but surely sympathy can be drawn somewhere – what about a ‘worst-case-scenario’ applicant, with the biggest possible combination of disadvantages: black, educated at a badly-performing school, raised in an area of low higher education participation in a poor family: wouldn’t it be fair to let a clearly gifted student from that background get in on AAA? “There’d be lots of consequences to that, you couldn’t simply have a system that changes overnight to say ‘We’re going to take people with three As’ unless you had a very detailed process in place to actually allow those people to be successful while they’re here. You don’t want to put people in a position where, when they arrive, all of a sudden they’re told: ‘We want you, but we want you only our traditional terms, and now you’re failing’,” he says. Does he think Cambridge students are working in an unusually pressured environment? “We admit some of the most gifted students in the world, and certainly from the United Kingdom, and then we do put them into very, very demanding programmes.” He is keen to stress that he doesn’t believe the University to be unique in that regard, and warns against ‘silver bullet’ solutions like nine-week terms and reading weeks, but acknowledges a better job could be done making students aware of the services available to them. His apparent faith in the decision-making capabilities of Cambridge’s rarely united institutions is emphasised again when I raise a new topic: the ongoing discussions at Lucy Cavendish and Newnham over whether they should open their doors to transgender students who self-identify as women, even if they do not have legal recognition. “I’m confident that they’ve looked carefully at the situation,” Toope says. His response treads the line between the Zero Carbon society’s all-or-nothing response, and the more subtle, but less unassailably ethical, approach of an organisation like Positive Investment Cambridge. He speaks of a “balance” to be struck between current moral interests, and the long-term financial interests of the institution – students and staff “100 or 200 years from now”. Cambridge thinks in centuries, and in that context the impact of a single vice-chancellor can be limited. 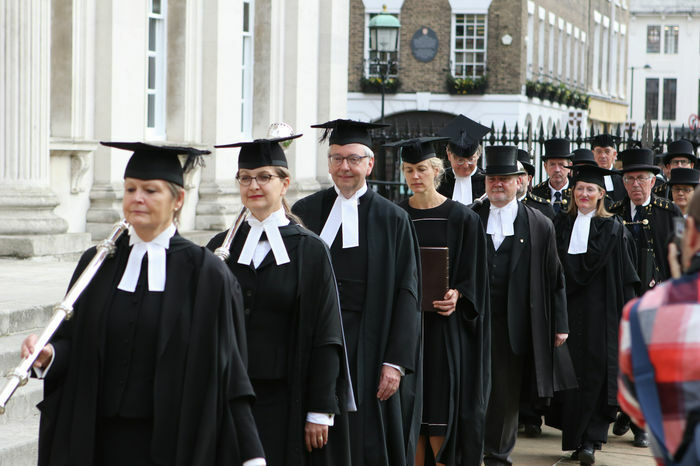 Does Toope hope to leave Cambridge as the best university in the world? For a moment, he offers something like ambition: “If it were possible to know the answer to that question, I would love to say ‘yes’”. Immediately though, he softens: “I would love for Cambridge to be widely acknowledged as one of the very small number of top universities in the world” – but adding that he is “not a great believer in league tables”. At the University of British Columbia (UBC), in Canada, where Toope was previously president, he apparently achieved something of a cult status among the students. When he’s not lobbying the government over our exit from the European Union, I ask, will we find him singing alongside student union leaders? “The short answer is I do want to be accessible to students.” What shape will that accessibility take? Toope’s answer: ‘breakfast meetings’ with students, something he tried at UBC. “I find it genuinely revealing,” he says.